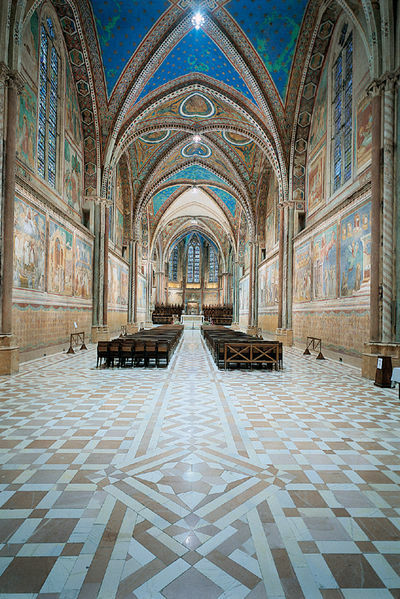 Almost everyone interested in art will have heard of the Basilica of San Francesco, in addition, there are many more beautiful artworks that await the visitor to Umbria. If you stay in one of our Umbrian or Tuscan villa rentals, it is very easy to see the following places, the only problem is deciding what to leave out! The world’s greatest collection of medieval art is frescoed onto the walls of this enormous two level church. Such was the popularity of this saint that the greatest medieval painters were called in to fresco the walls of the church dedicated to his memory. 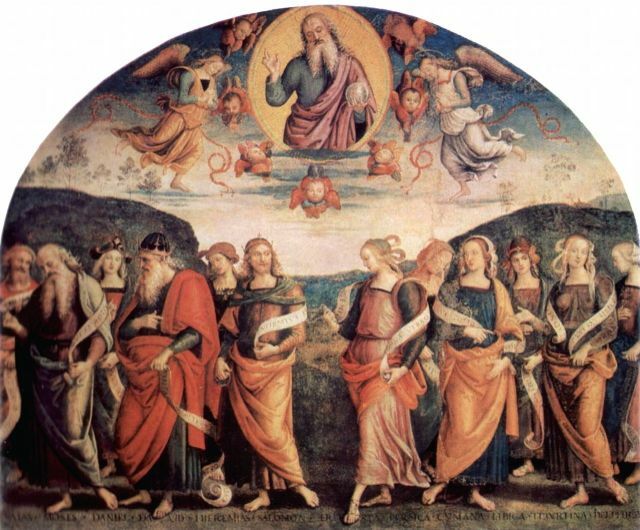 You will find paintings by Cimabue, Giotto, Simone Martini and Pietro Lorenzetti. A fine gallery in the Palazzo dei Consoli in the centre of Perugia (the capital city of Umbria), displaying works from the medieval to the 19th Century. Highlights include altarpieces by Piero della Francesca, Fra Angelico, Perugino and Pinturrichio. Some of Perugino’s finest frescoes show biblical and classical figures standing in imaginary, but definitely Umbrian landscapes. 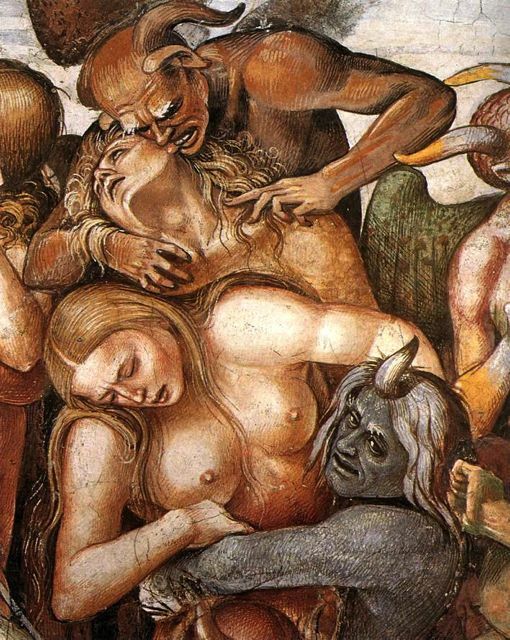 Luca Signorelli shows off his mastery of the human form in these apocalyptic frescoes that influenced Micelangelo’s Last Judgement in the Sistine Chapel. The last works by Fra Filippo Lippi, these beautiful frescoes depict scenes from the life of the Virgin Mary. Rumour has it that he was poisoned by a jealous cuckolded husband while working in Spoleto. Pinturrichio’s frecoes in the Baglioni chapel depict members of this bloodthirsty Perugian family as shepherds adoring the baby Jesus. 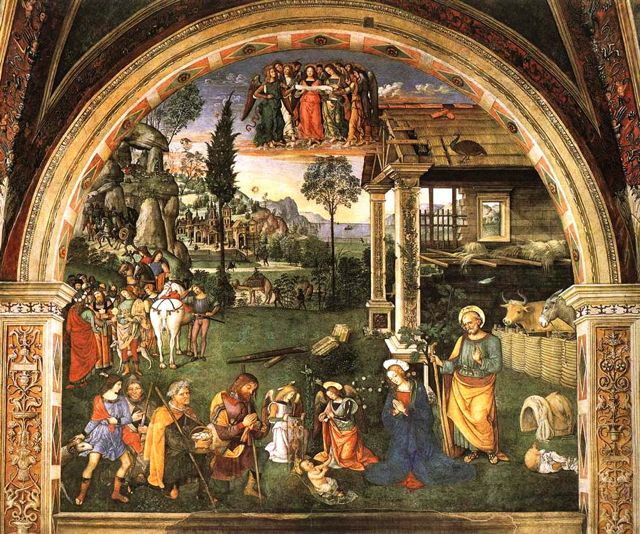 Benozzo Gozzoli, a pupil of Fra’ Angelico, painted these scenes from the life of Saint Francis around 150 years after Giotto’s paintings of the same subject in Assisi. The proximity of Montefalco and Assisi gives art lovers a chance to compare works from the medieval and Renaissance. 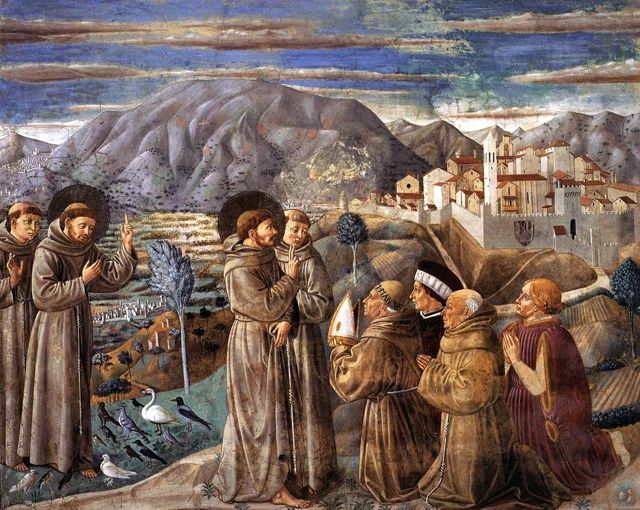 You can also see how the story of St. Francis’ life developed into direct parallel with that of Christ (note the scene where he is born in a stable). If you start to suffer from an overload of Renaissance and medieval art then the Burri collection may come as an antidote. A leading member of the Arte povera (poor art), movement, Alberto Burri left many of his works to the town of Città di Castello in northern Umbria. Arte povera used readily available materials to create pieces. Housed in two museums in this provincial town, this is a very impressive collection and not on most visitors to Umbria’s must see list, consequently, you can view the art without feeling crowded. The Pinacoteca has an interesting collection of medieval and Renaissance works housed in a palazzo once owned by the Vitelli family, the rulers of Città di Castello. Worth a visit for the building alone. Close to the Tuscany Umbria Border (where our villa rentals are located), the main Tuscan artworks are in Cortona, Arezzo, Sansepolcro and Monterchi. Siena is between an hour and two hours from most of our properties and Florence is generally around two hours in the car. Both these cities have too much art to see in a single visit but I’ll make some suggestions. 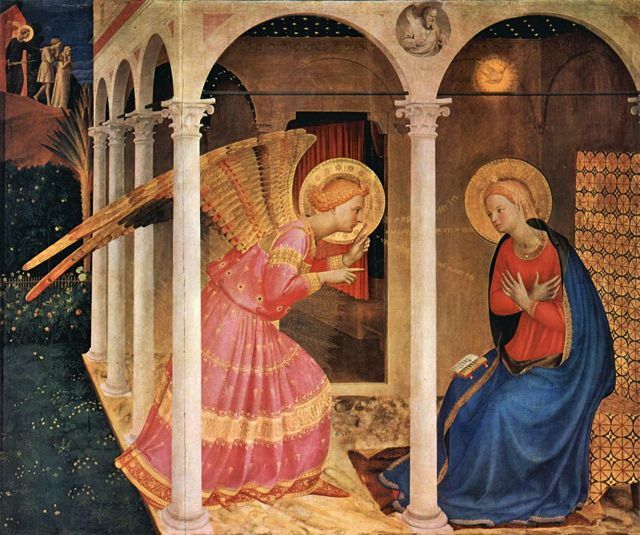 Highlight of this small museum is the altarpiece by Fra Angelico depicting the Annunciation, other works are by Luca Signorelli and Futurist, Gino Severini. A convoluted medieval legend is brought to life by Renaissance painter and mathematician on the apse of the Franciscan church. Book a time slot as, at the busy time of year, you are unlikely to get in by turning up. 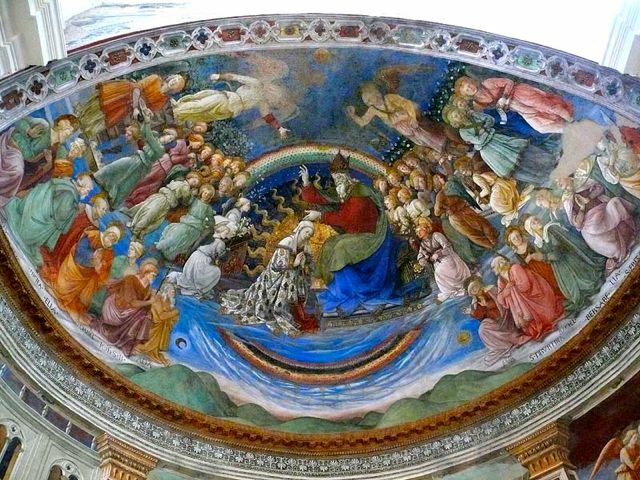 Can be combined with visits to Monterchi, Sansepolcro, Perugia and Urbino (in Le Marche) to follow the Piero della Francesca trail. 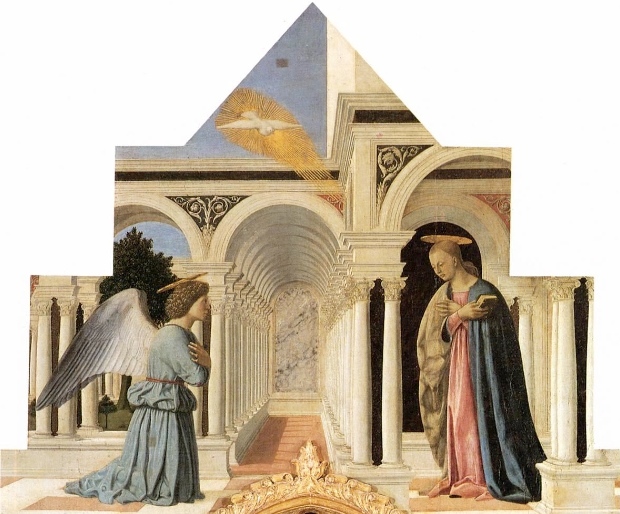 A depiction of the pregnant Virgin Mary, this simple but beautiful painting demonstrates Piero della Francesca’s mastery of perspective by placing her inside a tent. 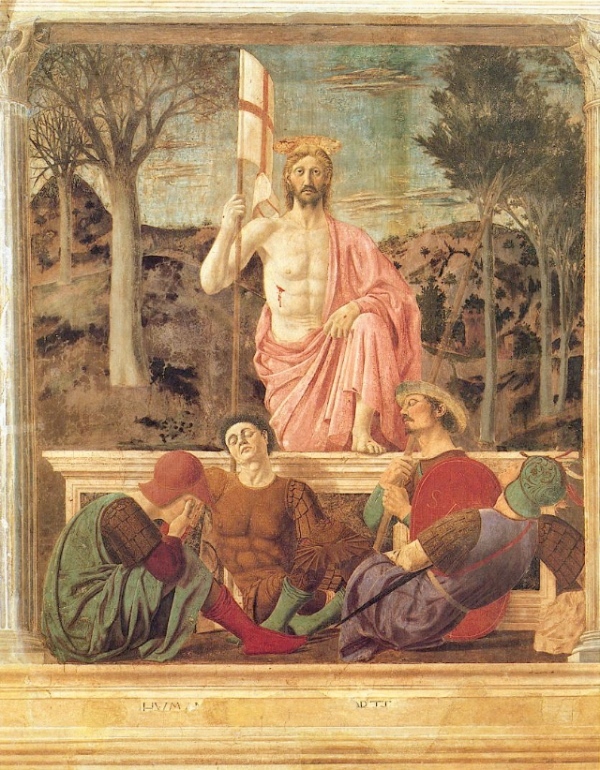 Two of Piero della Francesca’ works can be visited here, the stunning Resurrection, which depicts Jesus rising from the tomb and the Madonna della Misericordia, where the Madonna protects the painting’s patrons with her cloak. 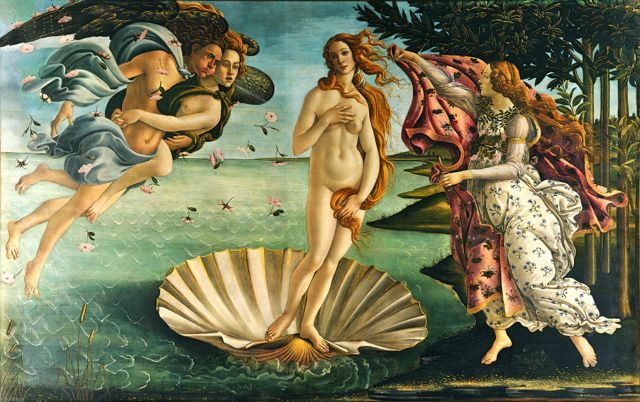 One of the world’s greatest art collections featuring paintings from the medieval period up to the 19th Century. 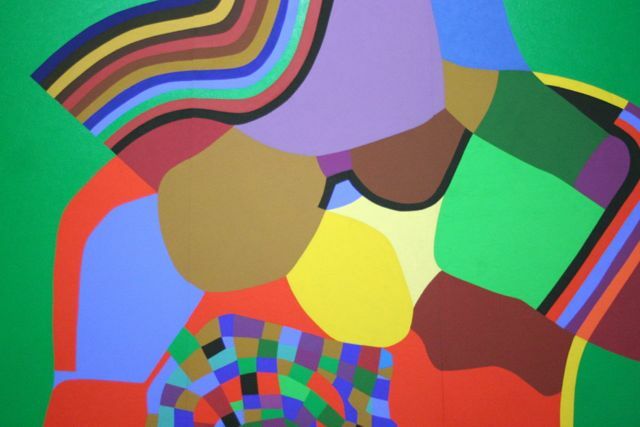 There are works from all the great Italian artists and many more from other parts of Europe. Book in advance and don’t plan to see a lot else afterwards, you might start to suffer from Stendhal’s Syndrome, dizziness and fainting brought on by artistic overload. Frescoed by the first Renaissance painter Masaccio these painting caused a revolution in European art and went on to influence generations of artists afterwards. He died half way through the work and it was sympathetically completed seven decades later by Filippino Lippi (son of Fra Filippo Lippo). On the south bank of the Arno, you can usually get in without a long queue. 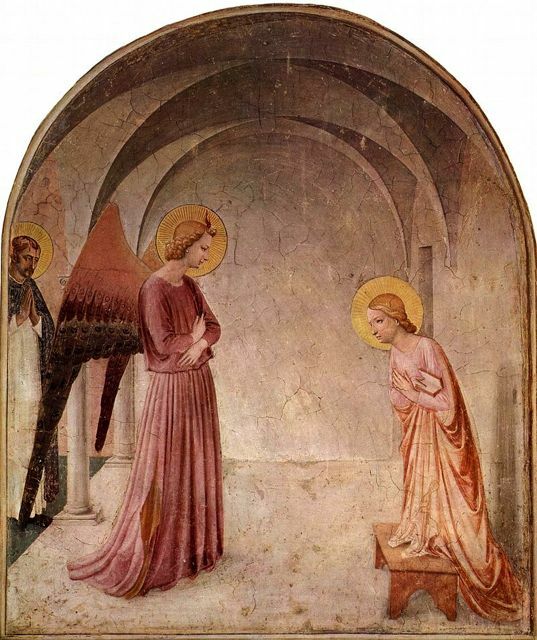 A museum dedicated to the works of Fra Angelico, there are beautiful frescoes (by Fra Angelico and his pupil Benozzo Gozzoli) in every cell and a room full of altarpieces, you can usually get in without a long queue. Only a few people are allowed in at any one time so advanced booking is usually required. The colourful Procession of the Magi by Benozzo Gozzoli is reproduced on postcards and posters all over Florence. The painting features members of Florence’s de facto rulers, the Medici family, as the Magi. There is too much art to see in a one day visit, choose from a combination of the Museo Civico, the Museo dell’Opera del Duomo, the Piccolomini Library (in the Duomo), the Pinacoteca, the Ospedale dl Santa Maria della Scala. 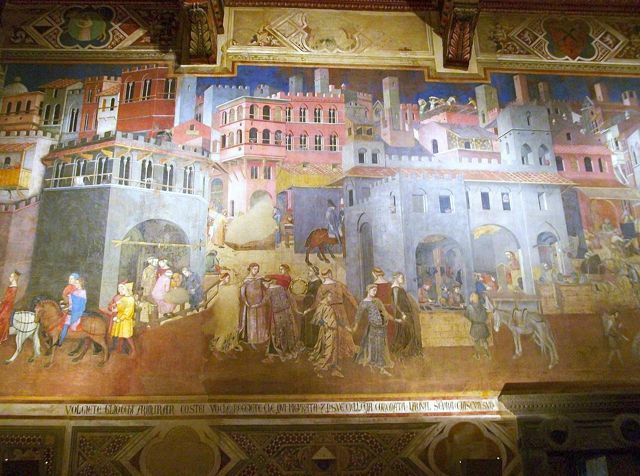 Some famous frescoes by Siense painters Simone Martini and Ambrogio Lorenzetti, the latter painter’s depict the effect of good government vs bad government and were particularly relevant as they were in the meeting room of the governing council.